ECRA organises events, meetings and other exchange formats. 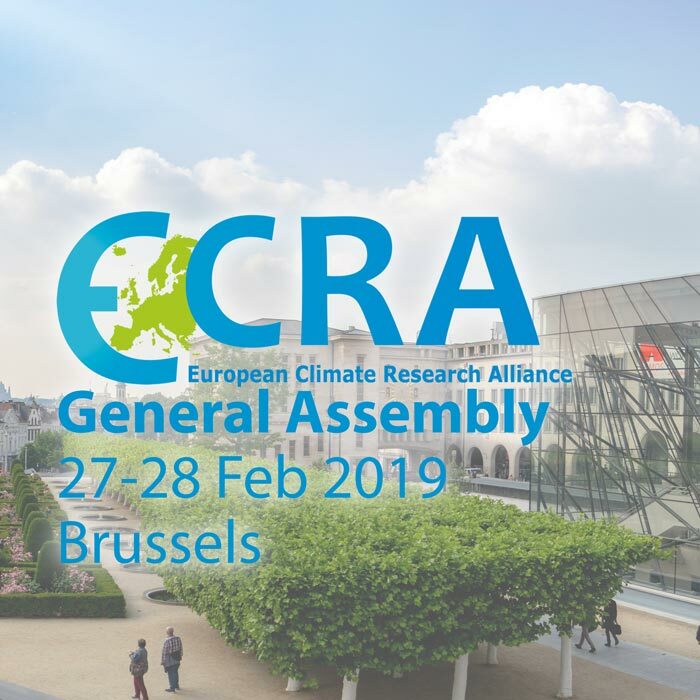 On this site, you find an overview over past and upcoming ECRA events. For more information on ECRA activities, go to Collaborative Programmes. [ECRA-CP-HIE] Climate Changes: Regional Modeling, data analysis and uncertainties | L’Aquila, IT, 27–31 August, 2018 | Organsised by ECRA members. See information sheet here. [ECRA-CP-SLC]/[ECRA-CP-CHC] European Geosciences Union (EGU) General Assembly 2018 | Vienna, AT, 8–13 April 2018 | ECRA: Poster presentation on 11.April, Session X1.13. https://meetingorganizer.copernicus.org/EGU2018/session/27270 See the presented poster here. Meeting of CP-SLC. Climateurope Climate Festival. Valencia, ES, 5-7 April 2017. More information at ecra-climate.eu/activities-events/outreach-events/climateurope-festival-2017.